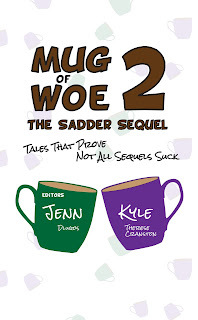 Mug of Woe 2 is Available on Amazon! *Specifically, one of the authors who dyed himself blue. It's all in the book. Which you can buy on Amazon right here! Woes of Dating is Released! 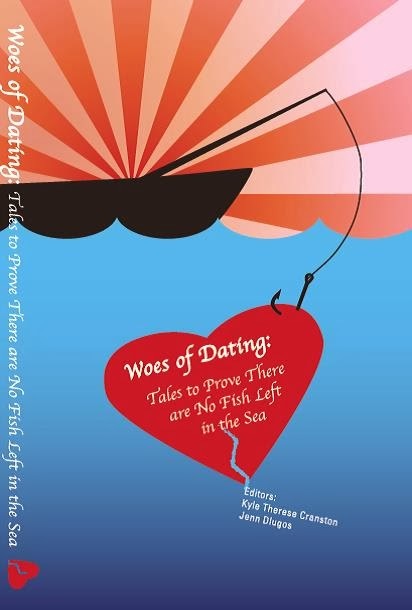 At long last, Woes of Dating is finally available on Amazon and Kindle! It makes a great Yankee Swap gift, stocking stuffer, or a subtle way to tell your crappy New Year's Eve date "it's not me, it's definitely you." We're now accepting embarrassing, funny, and woeful stories of any category for or sequel book Mug of Woe 2! Deadline is February 28, 2015! Check out the Call for Submissions page for details. Woes of Dating Has Been Sent to Press! Look for it on Amazon within the month! Next up -- Woes of the Workforce! Open for submissions until October 31st! Hello Woe fans! We hope you are enjoying the holiday season. We are excited to announce that Woes of Dating will be released in early 2014. Details coming soon, but in the meantime, check out the first mock-up of the book cover from our talented cover artist, Vikki Rush! Have a happy and woe-free New Year! Teresa's essay in All Woe Great and Small shows why the good tidings of the holiday season should not extend to slimy, crawling creatures. Your story in All Woe Great and Small is about an unsavory house guest that disrupted your holiday. What was one of your favorite holiday memories? One Christmas my son and I were finally able to have a dog again, after a long time without one. 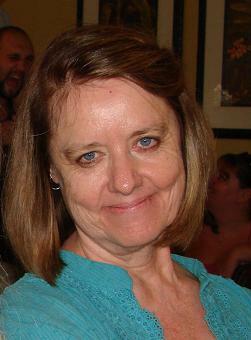 Sandy was an Australian Shepherd, covered with long curls of gray hair. That first year Sandy must have walked too close to the Christmas tree so that one of her gray curls on her neck caught the hook of an ornament and removed it from the tree. Neither she nor I knew it. That is, till she came strolling up to me, dangling a shiny red bulb at her neck, just as though she'd dawned a necklace. I say she decorated herself to brighten my Christmas. Speaking of house guests, if you could invite one famous person (living or dead) over for Christmas dinner, who would it be and why? The epitome of the Christmas spirit is captured in the movie "It's a Wonderful Life." I watch it every year and always tear up in the final scene. This movie also happens to star my favorite actor, Jimmy Stewart as George Bailey. If I could have one guest of my choosing to my home for Christmas dinner, it might be Jimmy Stewart. If Crayola named a crayon after you, what would they name it, and what color would it be? A crayon named for me would have an unusual, but appropriate name, Merry Heart. Merry Heart would be a vibrant green, a symbol of life. The Bible says a merry heart has a continual feast, and a merry heart is good medicine. I like that! Promote yourself. Where else can we find more of your writing? My personal stories have been published in several issues of Chicken Soup Books (CS for the Adoptive Soul, CS Devotions for Tough Times, CS for Positive Thinking, CS Boost Your Brainpower, CS I Can't Believe My Cat Did That, and one upcoming book) several Cup of Comfort books (CC for Christmas, CC for Sisters, CC for Dog Lovers II), other anthologies such as Dad's Bow Tie and one coming soon about blended families. These are the stories I write for fun. I make a living writing business articles for BizActions.com and I am a paid contributor to a wonderful health and wellness site for women called liteliving.net, multiple senior publications, and I write weekly for AccountingWeb.com. Mug of Woe Named One of the Best Beach Reads! 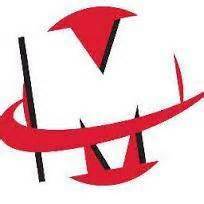 Special thanks goes out to Motif Magazine for naming Mug of Woe one of the Best Books to Bring to The Beach! And you, too, can be part of this award-winning series. Right now we have a call for bad, funny, and embarrassing dating stories open until June 30th! Submission guidelines are right here.